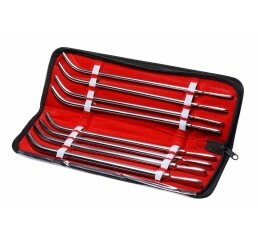 This 14pc Deluxe Flat-Ended Sound kit is a great for kit for beginners or advanced users of urethral play. 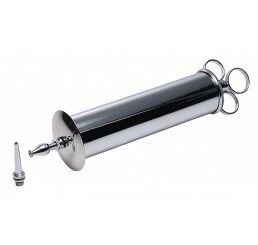 This kit contains 14 pieces of chrome-plated brass urethral sounds. 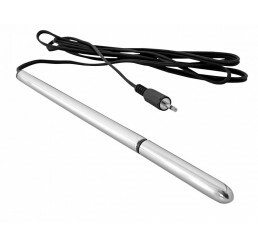 These sounds are slightly curved and measure 7.5 inches in total length and 5.5 inches insertable length. 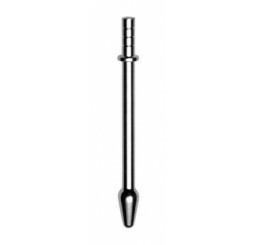 The sounds range from 4 mmto 17 mm in diameter. 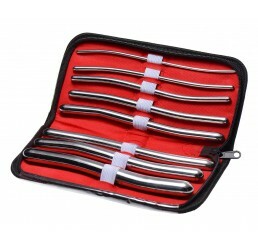 The sounds are flat on one end for easy gripping or electro play. 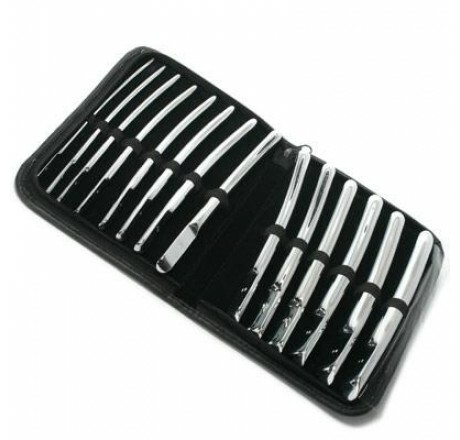 These sounds come in a black velvet lined zippered case for easy storage and for travel.